Do you live in a rural area? A suburb? The city? Almost anywhere you live in the 48 contiguous states, you probably have raccoons living near you. Although they’re active mostly at night, it’s not uncommon to see them out in daylight hours—especially if they’re working hard to find food for their young. Maybe you’ve become interested in raccoons because you catch a glimpse of one meandering across your yard every night and you’re curious what he may be up to. Or maybe you hear noises coming from your attic or chimney and suspect they may be from a raccoon family. 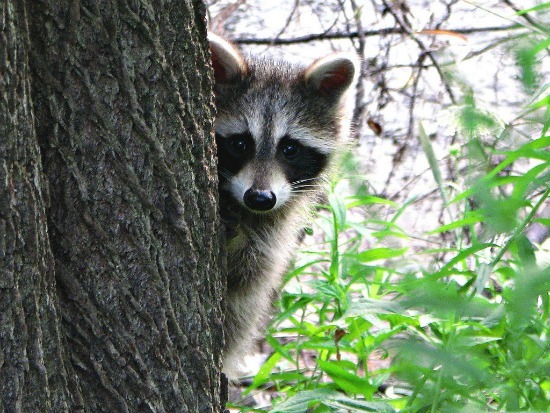 Whatever the reason you’re wondering about raccoons, this article will fill you in on some useful things to know about them. Raccoons tend to be smaller and paler in the South, and larger and darker in the North—up to thirty pounds. All have that unmistakable “bandit’s mask;” long, grizzled fur; and a snazzy banded tail. They flourish in many natural habitats—woods, marshes, swamps, seashores, and prairies, among others—and, of course, in suburbs and cities. How can they master life in so many places? 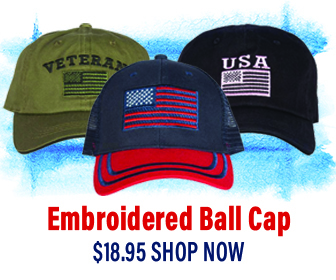 Simply put, they’re smart and adaptable. In fact, they’re gifted in many of the same ways primates are. They learn quickly and remember where foods are and when they’re available. They identify threats and exploit opportunities with ease. And, they adapt quickly to changes in their surroundings. Like us, they’re also social animals, so their cooperative family groups and behaviors contribute to their success. Raccoons are also incredibly dexterous. They can manipulate things skillfully with their hand-like front paws, which have tons of sensory receptors that relay information to their brain about whatever they touch. They have remarkable climbing abilities, too. Not only can they climb corners of brick structures or downspouts almost as nimbly as they climb trees, they can also come down head first, thanks to having ankles that can rotate—a handy maneuver when a chimney or attic is sought for denning purposes. 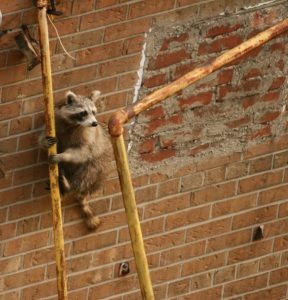 With near-superhero abilities like these—plus, all the food and shelter we inadvertently provide—no wonder raccoons find our suburbs and cities easy to master! Raccoons’ baby season peaks in March in most places, but they may have young as late as September. In natural areas they typically den in hollowed out trees or in the abandoned dens of other animals. When seeking shelter in and around homes, they’re looking for a space that’s safe and dry, like your attic, chimney, or any other area of your home or an outbuilding that they can access. They have between 1-7 babies (called kits) and begin to wean them at about two months. They’re not just on their own at that point though. The mother will spend months teaching them how to find food and shelter as well as the lay of the land. In fact, the young may stay with their mother through their first winter. 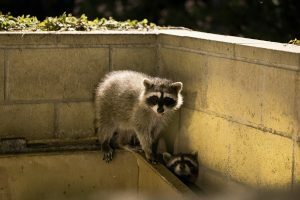 Unless there is an urgent reason to evict a raccoon family from your chimney or attic, try to wait until you’ve seen the young follow their mom out on their own when she goes out to forage at night. Even then, never just close the hole. You never know if there may be more raccoons inside. Instead, use a commercial one-way door at the entry point to evict the raccoons and to prevent them from getting back inside. Once you can confirm everyone is out, you can then seal the entry point. The best way to confirm the family is fully out is by setting up a trail camera to record videos by the one-way door. If you don’t seen any animals trying to enter the area for at least 48 hours, then it is safe to assume the space is clear of animals. If setting up a trail camera seems a bit too complicated, then it’s best to hire a professional. It’s also best to hire a professional if, for some reason, you need the raccoons out sooner. A reputable company will understand raccoon behavior and will insist on conducting the eviction with a “reunion box.” The professional will gently remove the young and place them in a box directly outside the entry point. This gives the mother the opportunity to collect her young and move them to another safe place where she can finish raising them. If you trap and relocate the family to an unfamiliar area, the mother will not know of an alternative place to den, so she and her kits will be at great risk from predators and traffic while she searches for one. Relocating wildlife is also illegal in many states. There’s no need to relocate if you simply seal the entry point once you know all animals are out. Raccoons may also look to chimneys, attics, and other accessible places for shelter during the winter. They are seeking warmth and preparing for the spring. If a raccoon is using your chimney, do not use the fireplace until you have a professional safely and humanely evict the animal. If possible, wait until the weather is less severe before evicting, and be certain all animals are safely out before capping a chimney or sealing off access to an attic. Raccoons are interested in nearly any foods they find. This includes pet food left outside in dishes or unsecured containers, birdseed, your veggie garden, and food scraps in your compost pile or trash. 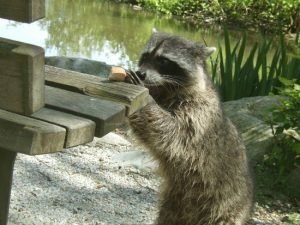 Conflicts resulting from the hearty and wide-ranging appetites of raccoons are among the reasons people often look for help controlling these animals. The fact is that conflicts like these are not an animal problem at all. They’re a people problem. Such conflicts can be solved—or prevented from happening in the first place—by changing human behavior. It’s only natural for animals to exploit available food sources, so the answer to food-related conflicts is in simple things people can do differently.